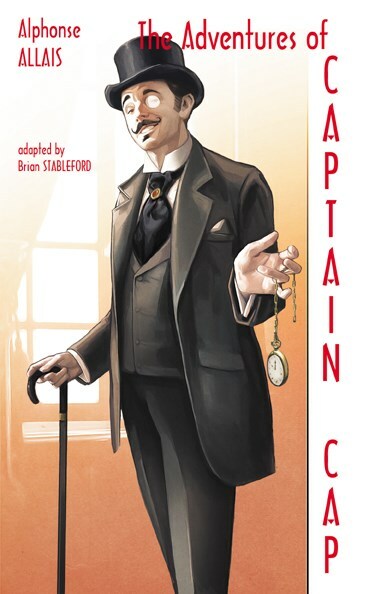 I shall not enumerate for you all of Captain Cap's exploits, his life in the Far West and Australia, his thousand maritime adventures, and his scientific endeavors -- no, that would take too long. Captain Cap was the fictitious mouthpiece that Alphonse Allais used to tell the tallest of his tall stories and develop his most exotic story ideas, including the majority of those that would nowadays be considered science-fictional. Allais liked to keep up with contemporary developments in science, and was ever ready to adapt ideas therefrom -- especially ideas that seemed to pose a challenge to common sense -- into the humorous newspaper articles with which he made his living and his reputation. By virtue of this habit of picking up such trifles, and adding absurd twists to them, Allais became an influential figure in the development of the French roman scientifique. This volume contains the unabridged 1902 collection Allais eventually produced of Captain Cap's adventures, plus a selection of further exotic items from his earliest endeavors, which commandeer supernatural motifs in the same spirit that he was later to bring to the plunder of scientific fancies. - Where will Science Stop?